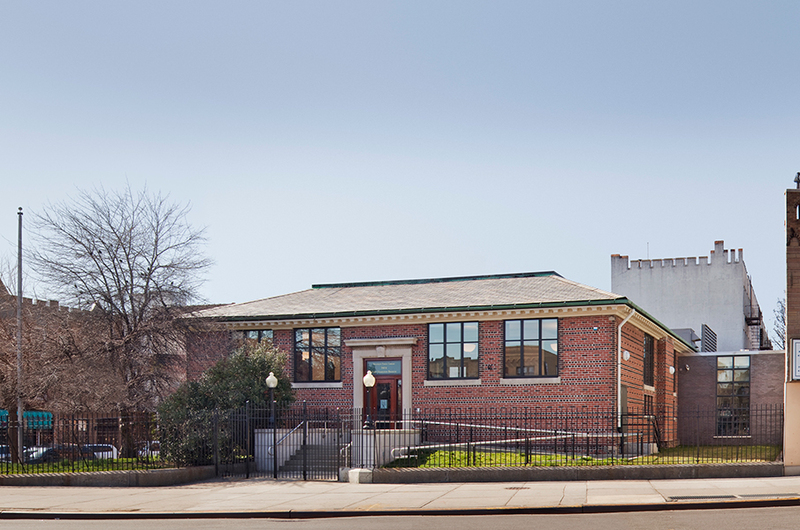 The Fort Hamilton Branch Library was built in 1907, as a gift from Andrew Carnegie. Since then the surrounding neighborhood and the Library have changed quite a bit. During the 1960s, the Library was renovated, stripping the interior of almost all the historic fabric. 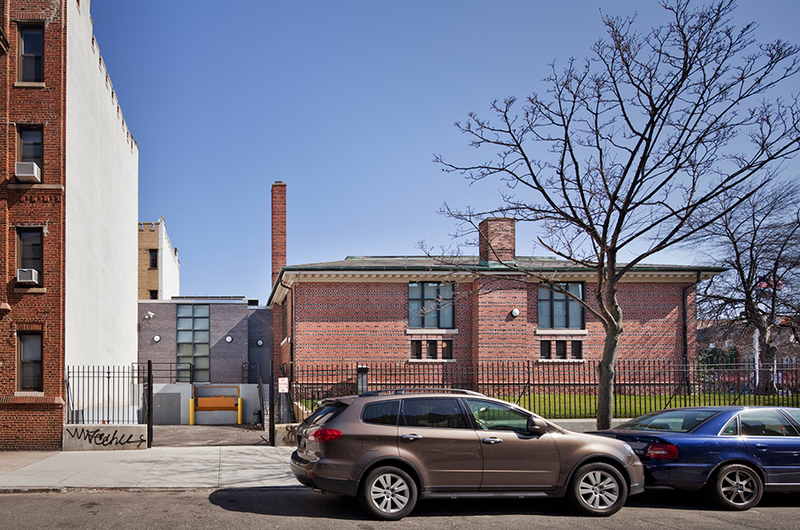 The surrounding neighborhood has also grown in size and diversity, with the Library acting as an important center in the Community. 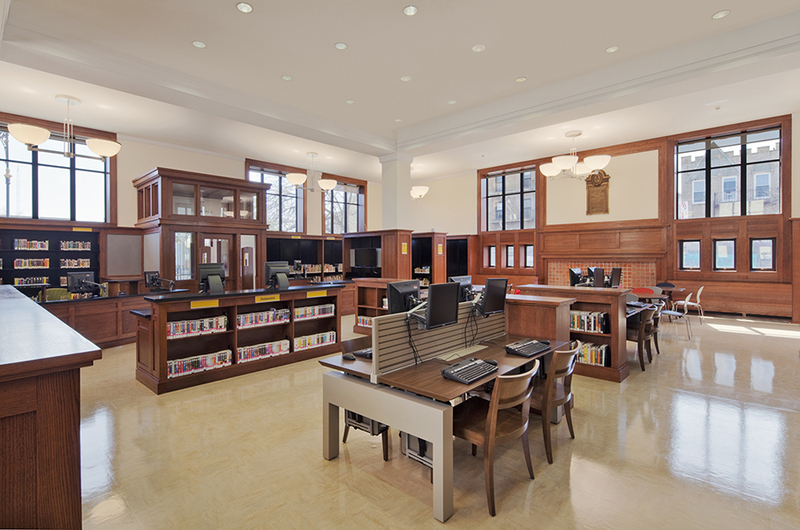 VBA was commissioned by the NYC Department of Design and Construction (DDC) to renovate the Library as well as design an addition. VBA provided full design services through construction administration. The Library needed additional Community space as well as an infrastructure upgrade. 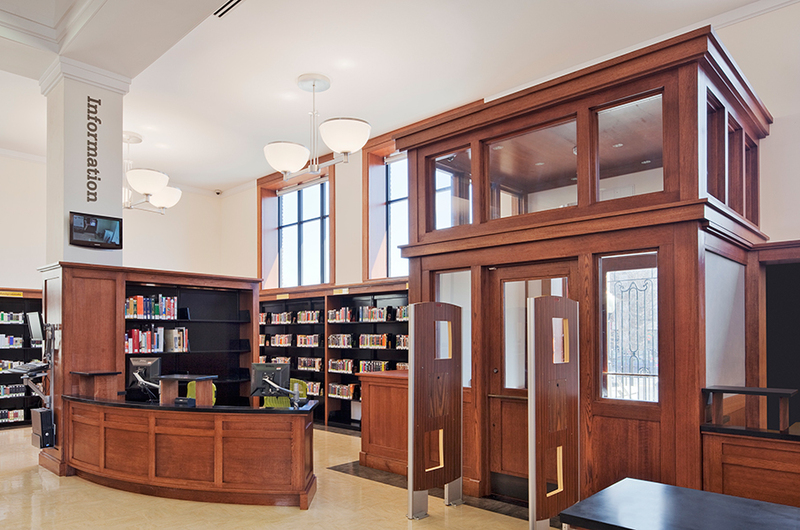 The interior of the Library was completely gutted to allow for a new Library interior that speaks to the history of the space. The historic windows that were blocked in the previous renovation were opened back up. New wood paneling, benches, and bookshelves were provided. State of the art self check out system within custom millwork was provided. Also new lighting and infrastructure was installed. 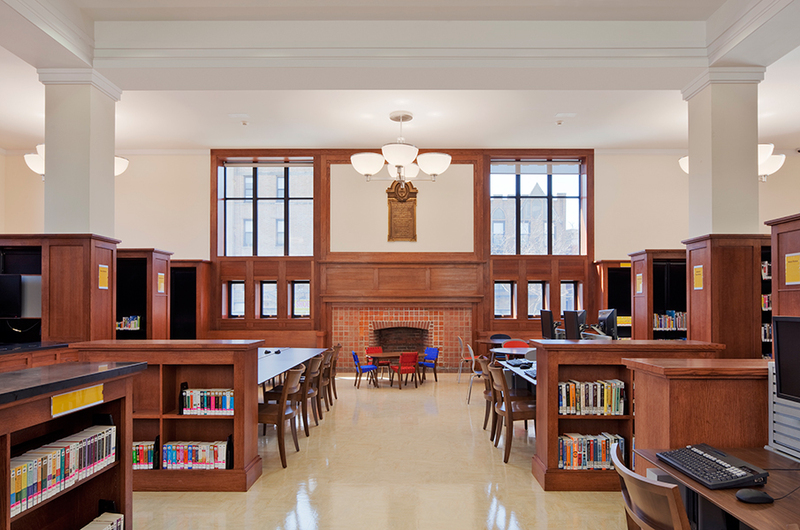 The Library’s programs were also re-organized, creating a new Children’s Reading Area, circulation area, and book stacks. 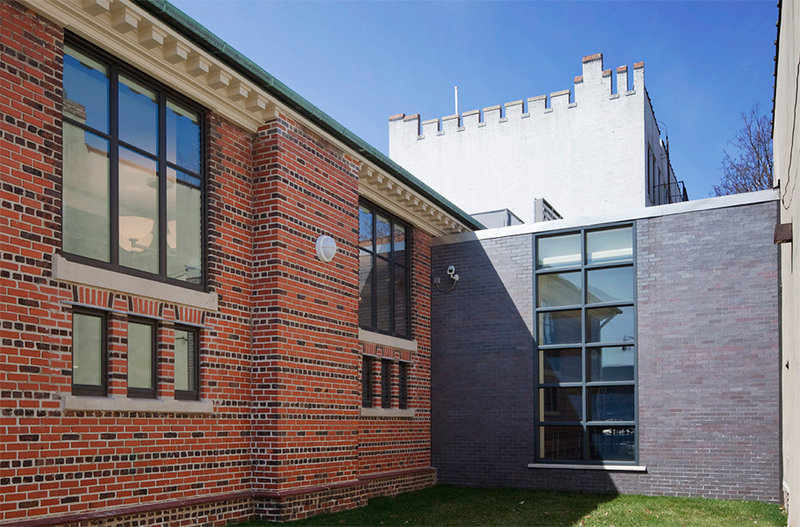 The new addition was located at the rear of the building, allowing the historic Library remain in focus while the new addition fades into the background. 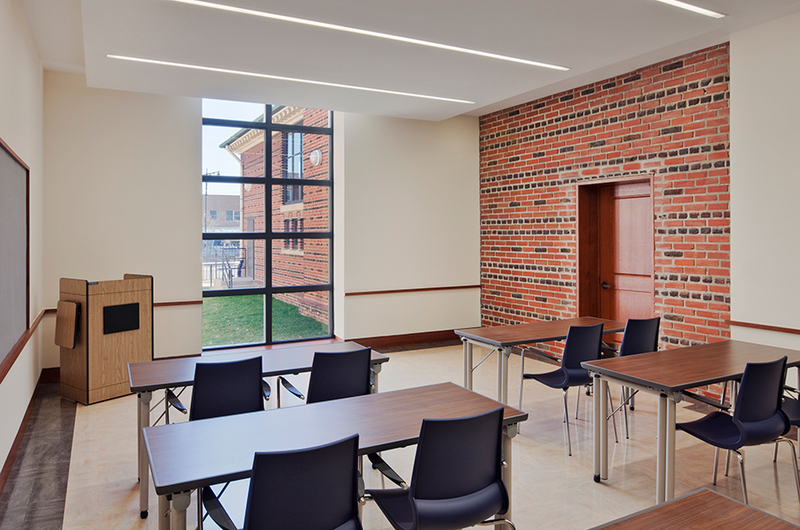 The addition provided a new Community Room, Staff Lounge, Staff Workroom, and ADA bathrooms.